The De Dona brand has been operating for over 15 years, mainly in the property management industry but more recently we have joined forces with Barbara De Dona which has over 15 years experience in the property industry and will be able to advise you on any sales related questions. De Dona Property Management has been operating for over 5 years with exceptional growth all due to our service and personal touch. The market is very strong at the moment and the most popular asset is a family home in a well established suburb. This is exactly what you have. We would love the opportunity to inspect your property and provide our honest feedback. Our speciality is working with clients, in a methodical way, to achieve the highest possible price for their property. Our work is backed by the latest market research and we have a large database of buyers waiting to hear from us everyday. We consider ourselves very fortunate to have found Dafnny as our agent for our Sydney property. Dafnny is a very organised person and we never had to wory about minor details as she has always taken care of it. Because we are interstate, Dafnny goes easier for us. If we every had to choose an agent again we will always choose Dafnny without any hesitation. 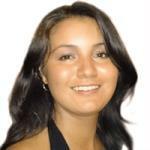 Its very hard to find agents who care about your rental property as much as Dafnny does. Dafnny stepped in to manage my investment property after problems with my previous rental manager. I personally feel Dafnny's attention to service was far superior to my previous manager, she is very easy to deal with, present when called upon which many rental managers out there lack. Dafnny professionalism and friendly approach gives me satisfaction that my property and tenants are well looked after. I 'd highly recommend Dafnny to my friends as i know she will do the same with them as she did with me.